VAYA is improving peoples' lives by creating beautiful and functional products such as their sustainable lunchboxes (tyffyn range) and drink tumblers (DRYNK range), which can be used for the home, school and office. VAYA has gained success across the Asia Pacific, Germany, UK, USA and have now reached Australia. The aesthetic tyffyn lunchboxes keep food hot or cold for 5-6 hours in VacuTherm insulation in a slim stainless steel body. The stack style structure with partitions and leak-proof lids make carrying multiple dishes a breeze. To meet different preferences, the range comes in different sizes, on-trend colours and offers specific versions for kids and those travelling light with the tyffynkyds and tyffynlyte products. The tyffyn range allows users to get the full home cooked experience on the go. The DRYNK range includes insulated drink tumblers in two sizes that can keep liquids hot for 12 hours or cold for 18 hours in a slim stainless steel body. 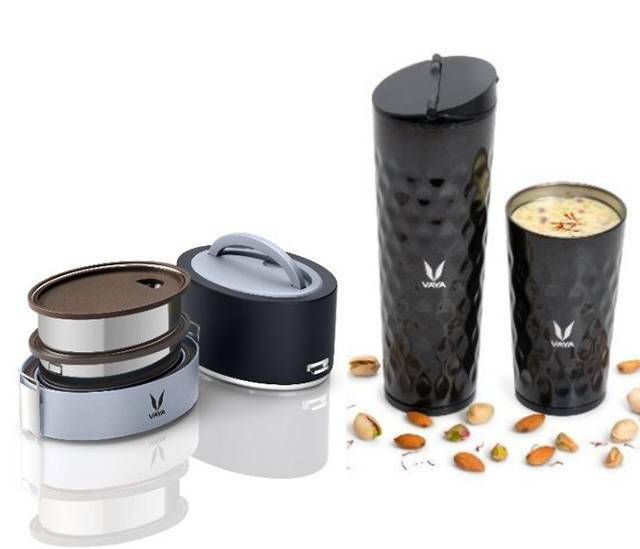 Each tumbler comes with two different lids, the sipper and the gulper, to ensure that every beverage can be enjoyed in any setting. In addition to the core ranges, VAYA also offers stylish accessories such as multipurpose carry bags to accompany the tyffyn and DRYNK products. Review: Stylish, functional and definitely worth the $ as they are really durable. I love that I can use these for hot or cold food and they keep me in check with my portion size.